Contemporary styled bathroom basin with offset side drainer designed by top Italian designer Antonio Citterio is ideal for both modern, contemporary and minimalist bathrooms. The washbasin shown is a left handed version but can also be supplied with a right hand drainer. 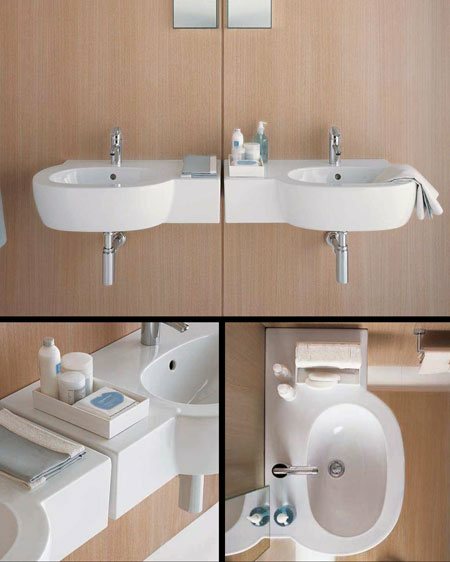 Taps, basin waste and chrome bottle trap available as optional extras. * Left or right handed shelf.